Marist Abroad and the Office of Admission debuted the inaugural Freshman Dublin Experience (FDE) this semester, ushering in a new component of the school’s ever-expanding international programs. Starting with this year’s participants, incoming freshmen can apply to the program and spend the entirety of their first year in Dublin, Ireland’s capital city. Marist College introduced the Freshman Florence Experience (FFE) over ten years ago, and Executive Director of International Admission Joe Giacalone said that this new program evolved from a “natural partnership” with the Dublin Business School (DBS) and the Foundation for International Education (FIE). The program received official approval last year, and the admission staff began promoting the program to families in the summer of 2017. Dublin, Ireland. Photo by Sarah Lynch. Now with both FFE and FDE, each with its own diverse offerings, the college strives to target a broader population of prospective students looking to take their studies internationally. Giacalone said that the ideal student for FDE “wants to embrace the historical past, while focusing on an innovative future.” The Dublin Business School’s offerings extend well beyond the business realm and include liberal arts and other areas of study. The partnership with DBS even offers coursework for majors like computer science or information technology, which are not offered through FFE at the Istituto Lorenzo de’ Medici. Due to Dublin’s less restrictive age requirements for study abroad, seventeen-year-old students are permitted to attend FDE, but would be restricted from participating in FFE. But separate from students’ logistical restrictions or requirements, prospective participants may choose Dublin for its English-speaking population or its cultural flare. 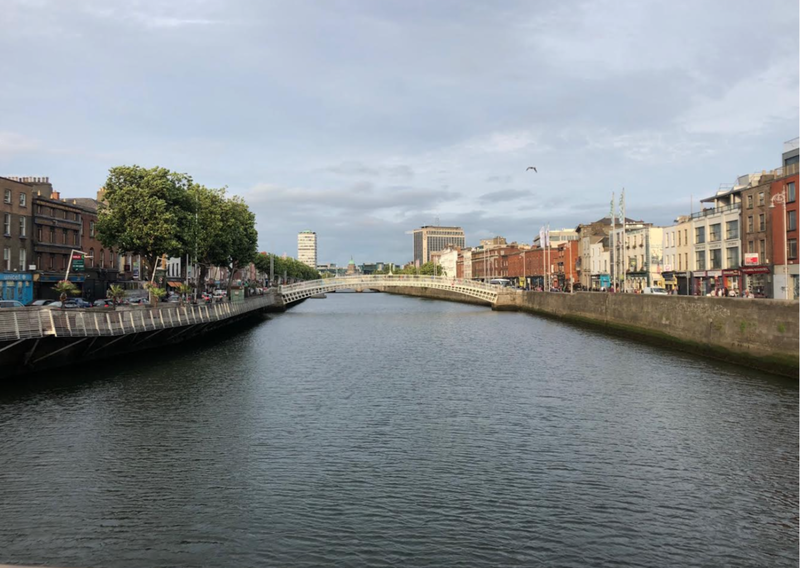 Jean Hinkley, the coordinator for FDE, studied abroad herself in Dublin through the University College Dublin and said the city presents endless opportunities to build confidence and life skills. Hinkley’s role includes preparing students with all pre-departure needs, including immigration paperwork and packing advice. She will be touching base with the students throughout their time in Dublin, but said that FIE and DBS take excellent care of the students and assist in easing their adjustment. While FDE represents one of the most recent additions to Marist’s international programming, the college has proven a strong commitment toward fostering global citizens. The Princeton Review ranked Marist 8th in the study abroad category for its 2019 edition of The Best 384 Colleges.